More than a dozen protesters smiled and kissed the floor of the Kentucky Capitol after State Police officers let them enter the building Tuesday following weeks of protests. 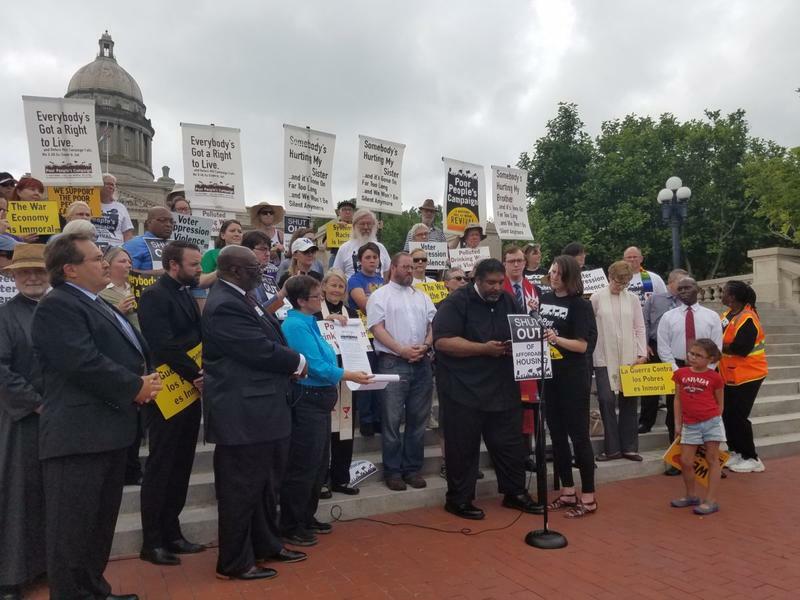 The Poor People’s Campaign in Kentucky will be back at the state Capitol July 10, expecting to enter the building in a group after previously being required to go in two at a time. Attorney General Andy Beshear says Kentucky State Police illegally restricted a poverty group’s access to the state Capitol building during a series of protests last month. 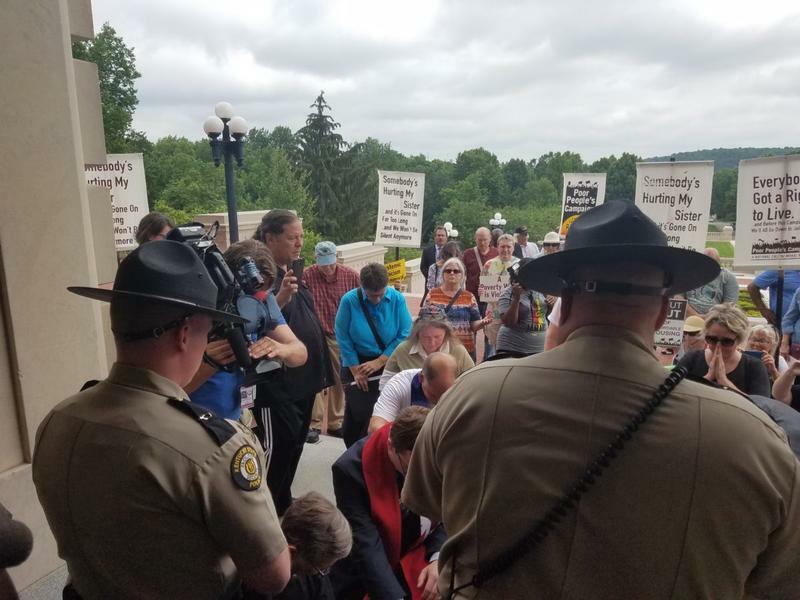 This week in Kentucky politics, Kentucky State Troopers shut protesters out of the state Capitol, allowing only two people to enter the building at a time. Attorney General Andy Beshear is suing Walgreens, saying the company helped fuel the opioid epidemic in the state. And a high-powered lobbyist was in federal court as prosecutors try to prove he bribed a former state official to help a client get state contracts. 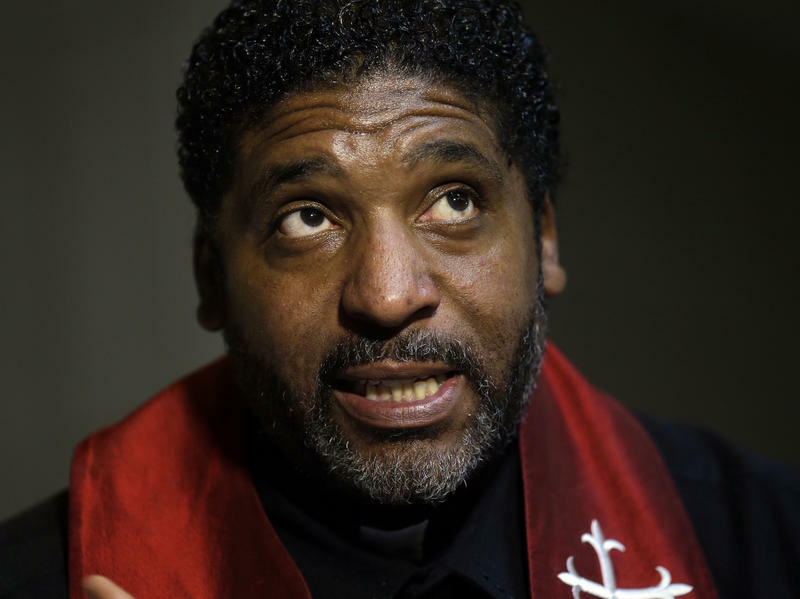 Anti-poverty activists say they will continue a campaign of demonstrations and civil disobedience throughout the Ohio Valley despite arrests at some events and being blocked from Kentucky’s capitol building. 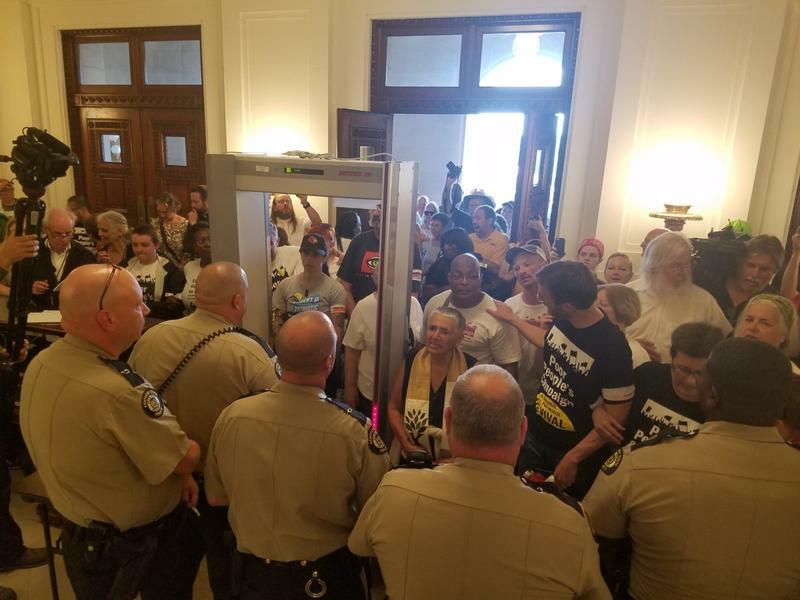 Anti-poverty protesters were again told they could only enter into the Kentucky Capitol two at a time on Wednesday, after the state police commissioner previously restricted the group’s access to the building earlier in the week. About 100 protesters from an anti-poverty group crowded the entryway to the Kentucky Capitol Monday after state officials restricted the group’s access to the building. 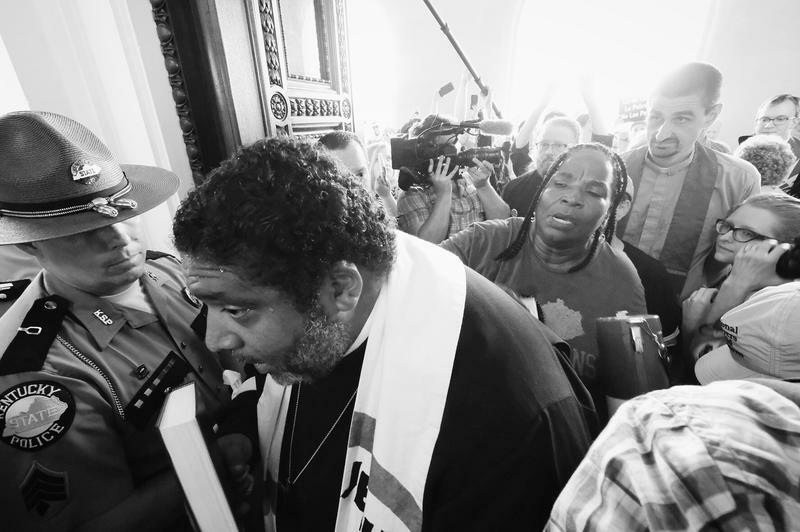 A social-justice organization is requesting a copy of a rule mentioned by a police officer when its members were denied group access into Kentucky's Capitol following an outdoor rally. A national campaign that aims to unite disenfranchised populations across the U.S. held events in Kentucky and West Virginia late last week. 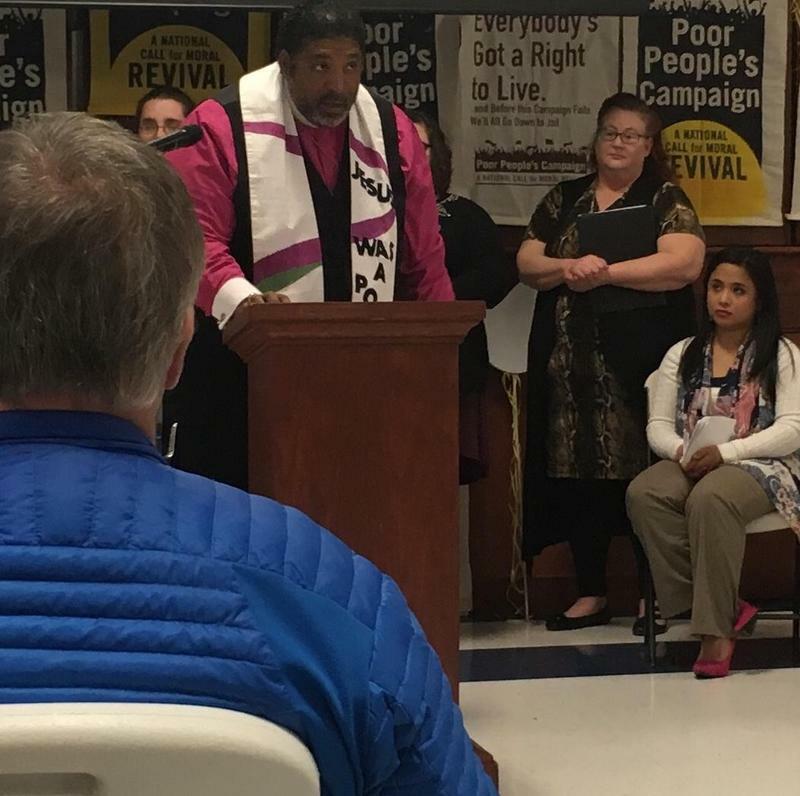 Meetings are part of a two-month tour designed to highlight social inequity, and build on a movement begun 50 years ago by Dr. Martin Luther King, Jr.